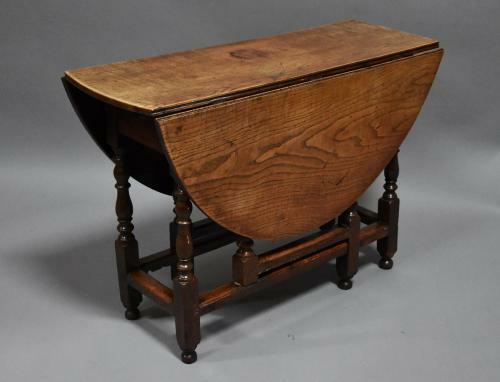 An early 18th century oak and ash oval gateleg table. This table consists of an oval ash plank top of nice faded patina with a drawer at one end. The oak base consists of turned legs and will seat 6-8 people.